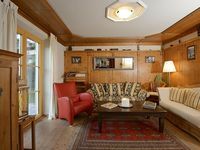 Property 5: Fantastic holiday apartment in the mountains near Brixen im Thale! Property 12: New, modern holiday home near the largest ski area in Austria! Property 15: Fantastic chalet right by the slopes and the St. Johann ski lift in Tyrol. Property 16: Athletic, unconstrained and way up on the mountain! Property 19: Luxurious holiday home in an idyllic location in the Glemm valley. Property 28: Unique apartment directly on the piste in St. Johann! Property 46: This house is in a splendid location in a quiet spot above Westendorf. Property 47: Beautiful holiday home on a farm with wonderful views of the valley. A new, modern penthouse near Kirchberg and Westendorf. 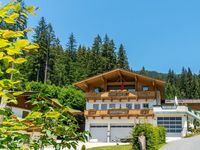 Property 50: A new, modern penthouse near Kirchberg and Westendorf. Wonderful home for our family of 4 adults and 2 children. Karl was an exceptional host. Karl made our arrival, check in and stay very easy and pleasant. This home served our family of 4 adults and 2 children very well. Would definitely return. On arrival the apartment was prepared and ready to go - everything was very clean and tidy. The apartment was more than we were looking for. It is a terrific quiet location and the sunsets from the balcony were to die for. We are looking forward to making another reservation next year - this is the best compliment we can pay.